Again coming back to the ‘COLORS’, it has been celebrated for years in different methods with the purpose to spread the feeling of warmth and togetherness in the hearts of the participants. Even Hindu mythology has reference to the festival of colors celebrated as ‘Holi’ in India to this day. A country like the one Thailand, London, Spain and few others have festivals pretty similar to Holi and is widely participated. India is not the only country that dedicates a day to the festival of colors. Others do as well. 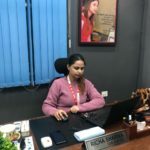 And when the Holi festival nears, companies and advertisement agencies busy themselves to entertain the increased demand thronging their doorsteps. Top mobile application development companies plan incentive-marketing strategies and repaint their existing applications to keep the users app-centric through the entire festive week. ‘Best of Season Sale’, ‘Clearance Sale’, ‘Holi-Yay Fashion Fix’. These are nothing but flash marketing captions used by a popular mCommerce application, ‘Jabong’. Not only Jabong but also most of the applications are flashing season sales and offers to ship to maximum customers and ship out maximum products. Your phone must be receiving endless notifications from the commercial apps installed on your phone already. The era of mobile technology has proved to be quite progressive so much so that they give us a taste of festivity a week before the actual occasions turn up. From grocery apps like Big Basket to Travel and Tourism, Paytm to fashion apps like Myntra as well as Ferns n Petals, you look up on your phone and you get to see their campaigns. Even Uber-like Taxi mobile applications have even started flashing ride offers too. Also Read: How apps can make your V-day effortless yet labored? 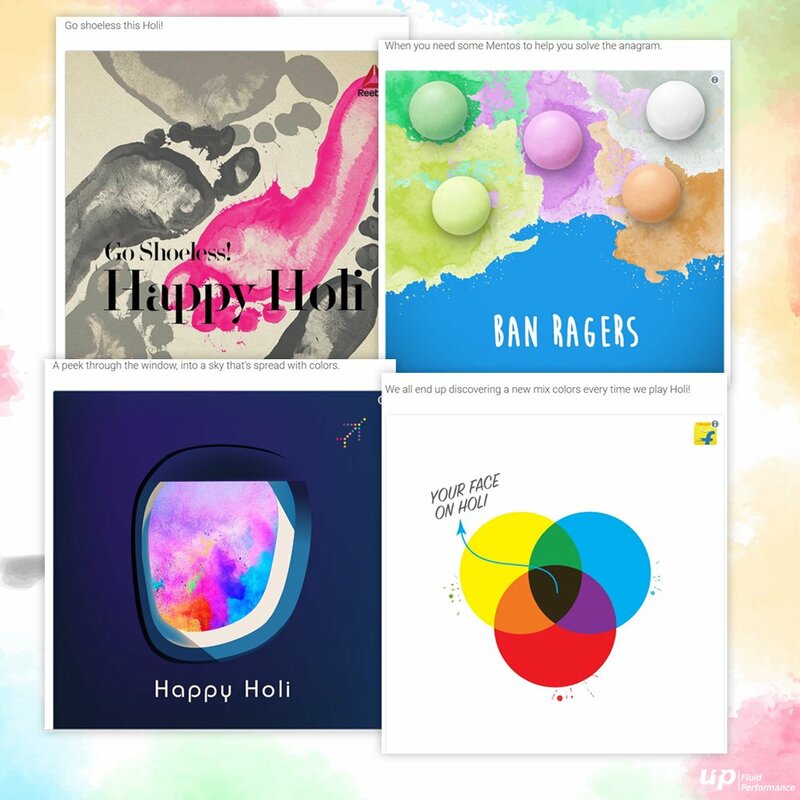 In addition to the offers and discounts, few application developers launched some interesting apps that will keep you glued to the smartphone screen throughout Holi. FestivalZAP is a free mobile application that is designed to forward festive greetings including Holi. There is a lengthy catalog of greetings and messages to chose and forward including voice messages and musically greeting cards as well. Personalized texts delivered with the recorded voice too. Even if not participating in the actual fun, you can still join the gang by posting your colored images. 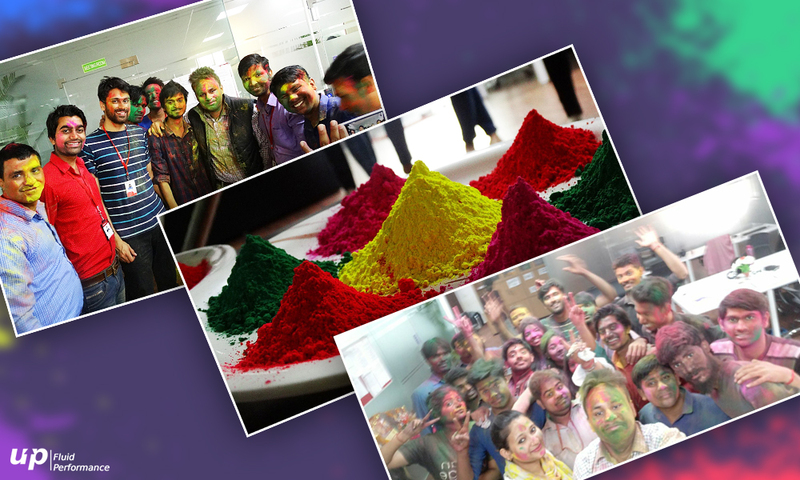 Khelo Holi allows you to color any of your old images and share it across with a mere tap of the button. Choose a photograph, design it with an attractive frame selected from a variety of borders, and then add vivid colors splashed on the screen with just the touch of a button, with a customized text and forward it as Holi greetings to your friends. Holi (by Rocking Games), is a unique Android game application specially designed to celebrate the day of colors. There are few amongst us who avoid getting dirty on Holi. This application is solely for those unfortunates to at least try and paint some color in their not-so-happening colorless life. It is the first ever Holi video game played directly from the smartphone and is a safe yet fun way of spending Holi. Holi Photo Frame 2018 is here to capture the colorful memories and frame up with hued effects to alter your painted face. The application is available for download on Google play store. Add frames, effects, text and convert them into greeting cards to share with friends and families. So, HAPPY HOLI TO ALL. That is the motive of this festival. You begin your day with colors and end it with colors to have a colorful journey ahead. Even Fluper like best mobile application development companies wish the same for their customers and the outcome of their efforts is a few applications mentioned above. Even if you plan to stay away from the madness, you can still be a part of the fun by playing around with the mobile applications. But, hired mobile developers must plan their promotional strategies way ahead of the festival to grab the market since biggies have initiated their strategies already. Next articleWhy Do we need Brokers when we have Real Estate apps?